The Kyiv City Council at a meeting on Thursday approved the attraction of a loan of EUR 110 million from the European Bank for Reconstruction and Development (EBRD) to buy rolling stock under the Kyiv City Public Transport Project II. According to the decision, municipal enterprise Kyiv Metropoliten will receive a loan of EUR 50 million at 6% per annum and the period of up to 12 years, including the two year grace period for paying the principal of the loan. Municipal enterprise Kyivpastrans will receive EUR 60 million for the period of up to 13 years at 6% per annum, including the three year grace period. As reported, Kyiv city after Lviv has become the second city in Ukraine and 21st in the region, which joined the Green Cities Project of the EBRD. According to a press release of the Kyiv City Administration issued the signing of the memo, the city plans to use this programme to implement projects for the renewal of the Kyivpastrans and Kyiv Metropoliten’s fleet with new buses, trolleybuses and subway cars, as well as a comprehensive reconstruction of the tram line and the Kontraktova Ploscha stop and overhaul of the Metro Bridge. 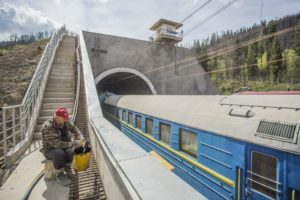 Recently, the EBRD Credit Committee approved the concept of projects for an estimated total cost of EUR 320 million, Kyiv Mayor Vitali Klitschko then said. Under the Green Cities programme the EBRD provides support to partner cities in designing and implementing Green City Action Plans and assistance in selecting investment programmes and providing financing by international donors. In particular, the Green City Action Plans include measures to improve urban infrastructure, quality of air, cleanness and availability of land and water resources, green space areas. The pilot programmes were implemented in Georgia, Armenia and Moldova. The programme was then approved by the EBRD board in autumn 2016. Lviv city was the first Ukrainian city participated in the programme. The city managed to raise EUR 20 million for Zelene Misto municipal enterprise for building a waste treatment facility and the rehabilitation of the Hrybovychi solid household waste landfill. In autumn 2018, the EBRD approved the extension of the Green Cities programme (Green Cities 2) with the provision of up to EUR 700 million. Currently the programme has over EUR 1 billion of confirmed financing, including over EUR 250 million that has been invested. 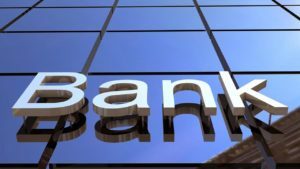 Ukrainian banks expect that lending and inflow of deposits continue in 2019, they also count on improvement of the loan portfolio, according to the poll on the conditions of banking lending conducted by the National Bank of Ukraine (NBU). 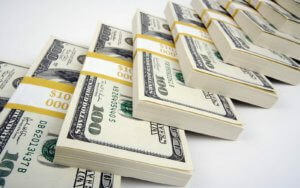 According to a report posted on the central bank’s website, three quarters of the banks surveyed predict growth in corporate loans in 2019, 62% of respondents – the growth of consumer loans. Some 66% of respondents predict the continuation of the inflow of deposits from the public in 2019, 67% – the inflow of business funds. “The value of deposits is the highest in the entire history of observations,” the NBU said. In the fourth quarter of 2018, the demand for loans continued to increase both from the public and business, due to the growing needs of enterprises in funds for capital investment and replenishment of working capital, as well as debt restructuring. 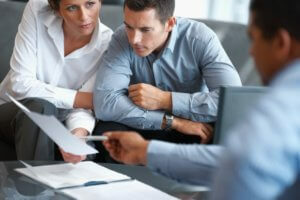 At the same time, the business was mainly interested in short-term hryvnia loans. In the fourth quarter of 2018, banks somewhat increased the standards for approving applications for all types of business loans along with deteriorating expectations, primarily for the exchange rate and economic development, as well as increased collateral risk. However, in the first quarter of 2019, banks plan to slightly relax domestic business lending requirements, especially for loans to small and medium-sized enterprises. 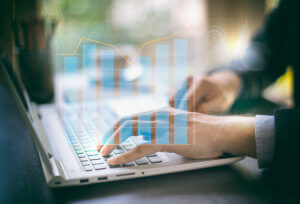 Consumer lending contributed to growth in the retail loan portfolio in the fourth quarter of 2018. The demand for respective loans was linked to an improvement in consumer confidence and a rise in spending on durable goods. Standards for loans issued to households have not changed. According to the report, banks, for the first time in five quarters, noted a decrease in liquidity risk. “Banks expect that credit, currency and operational risks will increase in the first quarter of 2019, liquidity risks will decrease, interest rates will not change,” the NBU said. The survey was conducted from December 18, 2018 to January 10, 2019 among the loan managers of 61 banks, which share of the total assets of the banking system is 96%. The next survey on bank lending will be about expectations for the second quarter of 2019 and will be published in April. The share of non-performing loans (NPL) in the total volume of loans in Ukraine in July 2018 fell to 55.06% from 55.68%, according to the National Bank of Ukraine (NBU). The central bank said that in particular, the share of NPL in the loan portfolio of PrivatBank fell to 84.54% from 84.64%, in other state-owned banks to 59.09% from 59.11%, in portfolios of foreign bank groups – to 41.75% from 42.54% and banks with private capital it grew to 24.6% from 24.09%. The volume of NPL of banks in July grew by UAH 5.092 billion, to UAH 631.231 billion, including in state-owned banks by UAH 7.073 billion, to UAH 419.963 billion, in banks with private capital – by UAH 865 million, to UAH 31.817 billion and in banks of foreign bank groups – by UAH 871 million, to UAH 168.338 billion. The share of all NPL of the loan portfolio of the corporate sector in July fell to 57.28% from 57.83% and in the loan portfolio of individuals – to 50.72% from 51.32%. Apartment building co-owners associations are demonstrating a growing interest in energy efficiency measures in 2018 compared to last year, as evidenced by the results of June, the State Agency for Energy Efficiency and Energy Saving has said. “More than 300 apartment building co-owners associations raised UAH 90 mln in energy efficiency loans this June, which is five times [or 80%] higher than last June. Around 90 associations received UAH 18.5 mln in energy efficiency loans then,” the state agency’s press service reported on July 8, 2018. The agency also said that the monitoring of the program implementation has shown homeowner associations’ greater interest in getting energy efficiency loans as well as their growing trust and confidence in the mechanism of co-financing energy efficiency measures. Some 930 homeowner associations raised UAH 260 mln in energy efficiency loans over two and a half months in 2018, which is almost twice as much as UAH 140 mln – the sum of money they received for heat insulation projects throughout 2017. “The apartment building co-owners associations should continue preparations for the next heating season and insulate their houses with the help of energy efficiency loans,” Chairman of the State Agency for Energy Efficiency Serhiy Savchuk said and added that benefits of the loan program included the opportunities to save the costs of energy efficiency measures, reduce utility bills and increase the value of apartments in modernized buildings. The Cabinet of Ministers of Ukraine has provided government guarantees for loans in the amount of UAH 1.055 billion taken by state-owned enterprises Lvivvuhillia, Pervomaiskvuhillia, Selidovvuhillia, Toretskvuhillia and Surhai Mine to implement investment projects. The resolution was approved at a government meeting on Wednesday. According to the documents, Pervomaiskvuhillia attracts UAH 276.21 million to prepare and launch a new longwall, Selidovvuhillia – UAH 278.12 million for refitting of 11th longwall of one of its coalmines. Surhai Mine will take a loan of UAH 138.84 million for own re-equipment and Toretskvuhillia will take UAH 21.15 million for refitting of one longwall of one of its coalmines. 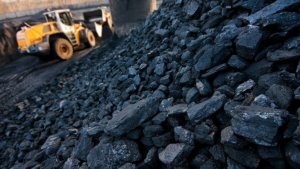 Lvivvuhillia will attract UAH 112.2 million for re-equipment of Vidrodzhennia Coalmine and UAH 228.11 million for Stepova coalmine. The government guarantee covers 80% of liabilities, including the principal of the loan and credit rates. The fee for the government guarantee is 0.001% per annum of the unpaid sum of the loan.